These fun tennis shoes are as blue as the depths of the ocean and covered with dolphins and other small denizens of the deep. 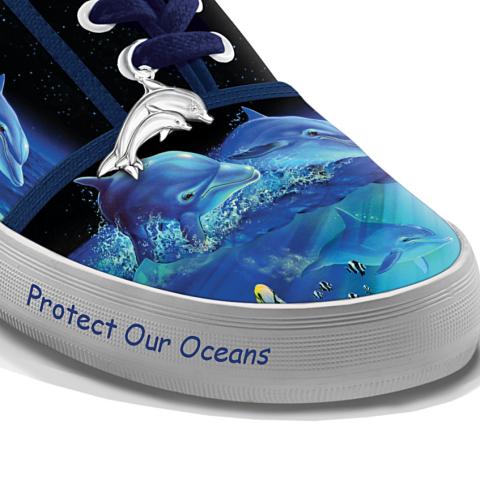 They allow you to show your appreciation of the ocean environment and the Earth. 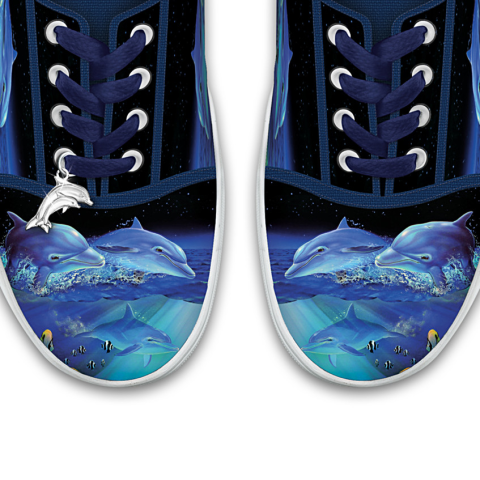 A small dolphin charm on one shoe adds just a touch of bling and makes these shoes sing. The shoes are great for a day at the beach, a whale watching trip, or a walk in the sunset. You will surely be the envy of every landlubber you meet! 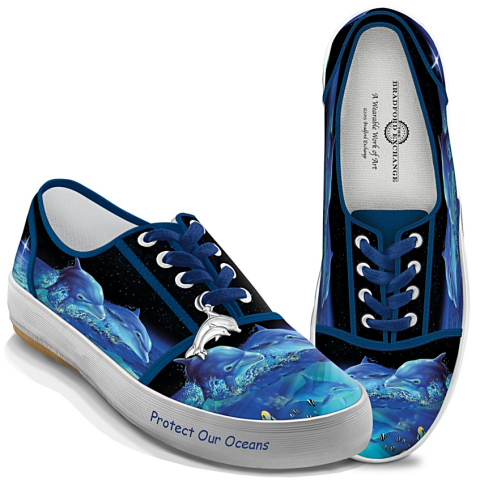 To order your own pair of Protect Our Oceans Shoes, click here.